E and OE. 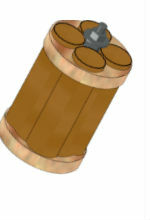 Products specifications and prices are subject to change. Promotional terms only apply during the period stated for the promotion. We make every effort to ensure that prices on the website are accurate, we are not responsible for errors that may occur. If we discover any errors in the price of goods or description before we accept your order, we will notify you as soon as possible and give you the option to resubmit your order at the correct price or cancel the order. The price of all goods and services advertised are inclusive of any applicable UK taxes. The price specifically excludes any foreign taxes, duties or customs clearance charges. All goods and services are subject to availability. Any product, stock or availability information supplied on the website is an estimate only. Any order shall be accepted entirely at the discretion of the seller, and if so accepted, will only be accepted upon these conditions and by means of the Model Rocket Shop's standard order confirmation method. Whether you order in person, via telephone, fax, email or through this website you must be at least 18 years of age and possess all necessary licences where required. Any e-mail or other electronic acknowledgement by us of receipt of an order placed by you does not constitute legal acceptance by Model Rocket Shop of your order. All orders are subject to approval by us. No other specification, descriptive material, illustration, written or oral representation, correspondence or statement, promotional or sales literature shall form part of or be incorporated by reference onto the order. All other conditions, warranties, stipulations or other statements whatsoever concerning the goods, whether expressed or implied, by statute or common law or otherwise howsoever are hereby excluded. 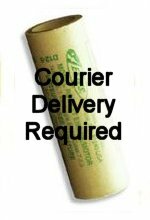 For prompt fulfillment, orders should be accompanied by payment either cheque/money order by post or paid online via PayPal. Schools and other organisations can order with an official purchase order ONLY on the condition that payment is made before dispatch of goods. If an order is taken by purchase order and payment is NOT made in a timely fashion, a 5 per cent per month account fee will be added. We have unfortunately been inconvenienced by schools in the past so there will be no exceptions. We are not in a position to carry your activities on our overdraft. Any goods, services or information displayed on this website should not be regarded as an offer, invitation, solicitation, advice or recommendation to buy or products or services on the website or for usage of the aforesaid products or services in any way whatsoever. No warranties or representations are made about any goods other than as expressly contained in the Model Rocket Shop website, and if applicable, the manufacturer's web site. To the extent permissible by law all implied terms, whether by statute or otherwise, are excluded. The only warranties provided with the products are those given by the manufacturers and distributors for the products. Statements about rocketry performance or skill requirements depend on manufacturer's data. 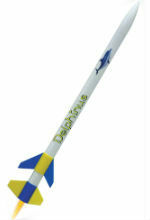 Model Rocket Shop has taken reasonable care in the selection, design and manufacture of all its products, therefore we shall not be held responsible or liable for any property damage (including loss or damage to vehicles, payloads or equipment) or personal injury whatsoever arising from the handling, storage, transport, use or misuse of our products. The placing of an order, the purchase or possession of this product indicates complete and unconditional acceptance of these terms, by the buyer or holder. Your order, purchase or possession of a rocketry product from Model Rocket Shop indicates your complete and unconditional acceptance of these terms. English law applies to this contract. We practice a policy of continual review and reserve the right to change the above terms and conditions at any time without notice. Tired of the legal mumbo jumbo? Here are some plain language cautions. Rocketry can be dangerous. There is no way we can supervise how you design, build, modify or fly your rockets or when or where you do it so we can NOT be responsible for your problems however they occur. You can hurt yourself or others and damage property even if you know what you are doing. Join a club and get insurance cover. Check the provisions of your household insurance. We recommend BMFA-affiliated Blast Off!, NAR and Tripoli Rocketry Association because they offer worldwide third party coverage and protect the landowners at no extra cost - conditions apply. 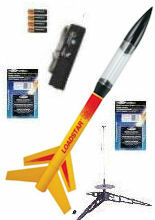 Follow the safety code in force at the site or club you use to fly your rockets. Always... even if the people in charge seem to allow exceptions.